Hong Kong yoyo player Henson Chan Chun Hay rips through some great 2A play in this new video for C3yoyodesign. Wouldn't it be great to see 2A truly make a comeback? It's so damn hard to do, but so damn fun to watch! 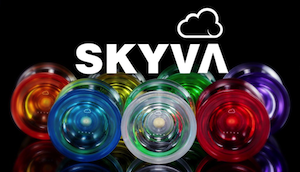 Yoyos used are the C3yoyodesign Initiator. Hong Kong yoyo player Henson Chan Chun Hay rips through some great 2A play in this new video for C3yoyodesign. Wouldn’t it be great to see 2A truly make a comeback? It’s so damn hard to do, but so damn fun to watch!